My favorite, most indulgent, way to unwind is by taking a long bath. I was told many years ago by an acupuncturist that by soaking at night, it would help balance my chi. It certainly is my literal and figurative approach to washing away the day. Now, another part of my ritual is to peruse my stack of *fashion* magazines. I rather enjoy getting bits of the pages wet, and over time watching them take on a new shape. 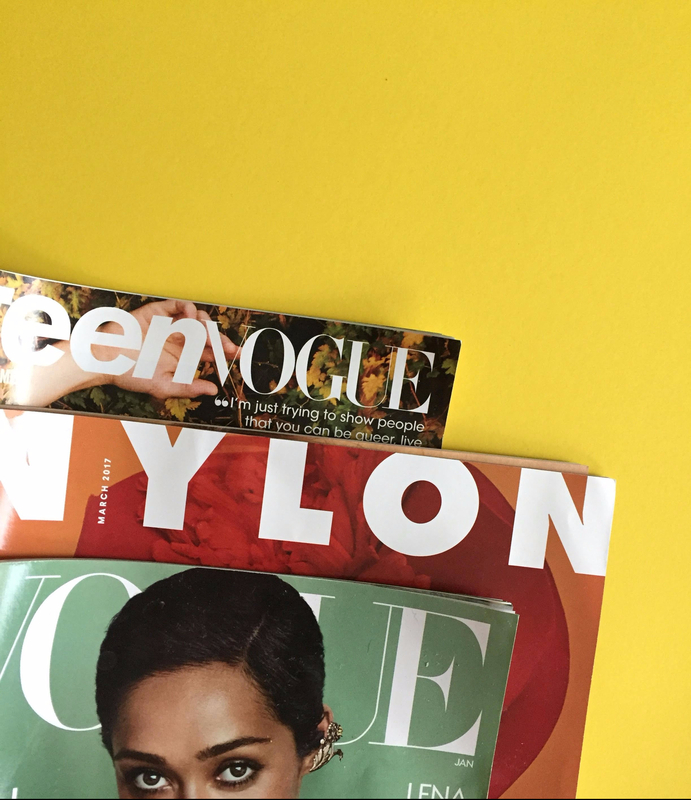 And I opt for the periodicals that introduce me to up-and-coming designers, musicians, and ideas, like Nylon and Teen Vogue (subscribe now!). I’ll sit, my legs folded underneath me parallel to the tub–no small feat–hunched over turning each page. I like to think of it as an extension of being a child, my storybooks splayed out before me, allowing me to daydream and insert myself in the tales unfolding. What’s your best loved way to self care? Share it with me on instagram.